Brown noted that he also helped the careers of House Speaker Nancy Pelosi, Gov. Gavin Newsom and Sen. Dianne Feinstein - though it is unclear whether any of them were also boffing Brown. Concluding with what may be sour grapes, Brown writes: "The difference is that Harris is the only one who, after I helped her, sent word that I would be indicted if I "so much as jaywalked" while she was D.A." As a powerful assembly speaker, Brown appointed Harris to a $97,000 per year position on the Unemployment Insurance Appeals Board, then appointed her to the California Medical Assistance Commission for $72,000 per year, according to a 1994 report in the Los Angeles Times. 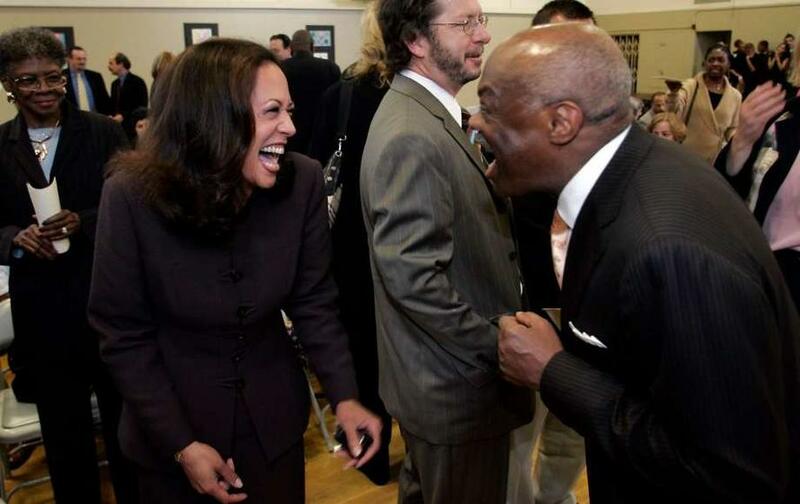 Brown also connected Harris with campaign donors who helped her outspend her opponent in the race for San Francisco district attorney, according to Business Insider. Serving as mayor of San Francisco for two terms, Brown was known for his arrogance, charm and ego according to a 1996 feature in People Magazine. Separated from his wife, Brown has reportedly been dating Russian refugee and socialite Sonya Molodetskaya. We can only imagine what kind of collusion is going on. Meanwhile, critics have taken to social media to weigh in on the matter.